You deserve to experience exceptional dental care in an environment where you feel welcome and understood. At Montane Dental Care, we are proud to provide compassionate, world-class dental services to the Spanish-speaking communities in and around Fremont. To find out more about how our dental practice can help you and your family achieve beautiful, healthy smiles, please call us today at 510-795-0444 to schedule an appointment with our experienced Spanish-speaking dentist Dr. Jorge Montane. We welcome patients from Fremont, Newark and Union City. From the front desk to the dentist’s chair, several members of our staff speak fluent Spanish. We believe that building meaningful bonds with our patients is an essential aspect of providing exceptional care. The ability to communicate easily with our patients helps us to develop trusting relationships, answer immediate questions and help our patients feel comfortable and welcome. We understand how important it is to feel understood. We also know that when discussing your dental and health options, you need to clearly understand every detail of your dentist’s evaluation and recommendations for treatment. You need to know precisely what is involved in your procedure and what options are available to match your goals and budget. Whether you’re scheduling an appointment, discussing a procedure or asking about financing, you won't need a translator to ensure your voice is part of the conversation. Helping our Spanish-speaking patients feel at home is just part of our goal at Montane Dental Care. Our mission is to deliver exceptional dental services that focus on your comfort. Dr. Montane uses the most advanced pain-management techniques and state-of-the-art technology available to ensure your dental experience is unmatched in terms of quality and comfort. Dr. Montane and his staff will communicate with you through every step of your visit to ensure you understand what to expect and all of the treatment options available to you. 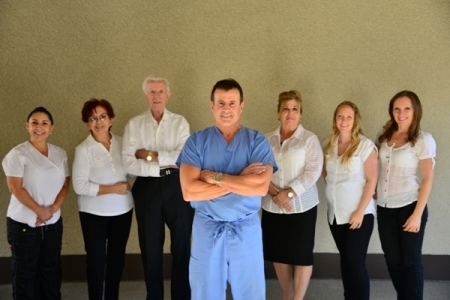 Whether you have a question about a specific procedure or want to know all of your financing and payment options, Dr. Montane and the staff at Montane Dental Care are committed to answering all of your questions clearly. To schedule an appointment at our Spanish-speaking dental practice, call us today at 510-795-0444. We proudly help patients from Fremont, Newark and Union City achieve bright, beautiful and healthy smiles.